Below is an update on the Spotted Towhee in Algonquin Park. 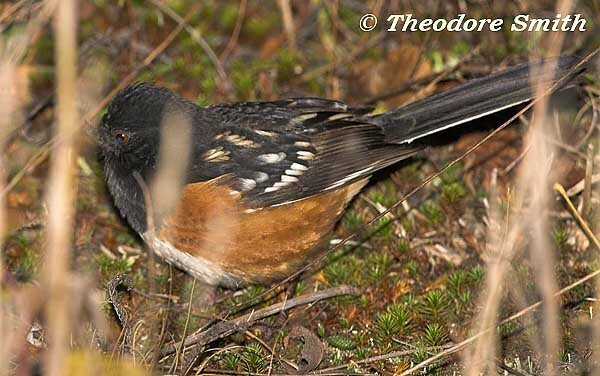 "This  Spotted  Towhee  is  a new species for the Algonquin Park list. 2)." Posted by Ron Tozer (Nov. 2) to the Muskoka Bird Board.